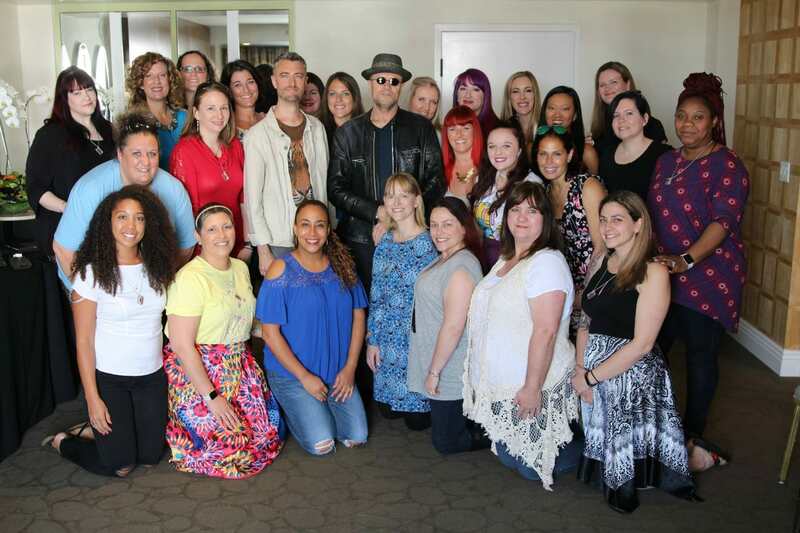 Last month I had the opportunity to sit down with Michael Rooker (“Yondu”) & Sean Gunn (“Kraglin”) to talk about their roles in the newest Marvel blockbuster, Guardians of the Galaxy Vol.2. If you haven’t seen the movie yet, I tried to contain some of the spoilers that we talked about, but you probably want to go see the movie first before reading on. In case you didn’t know, Sean is the brother of James Gunn, the director, and we had the opportunity to ask him about working with his brother. 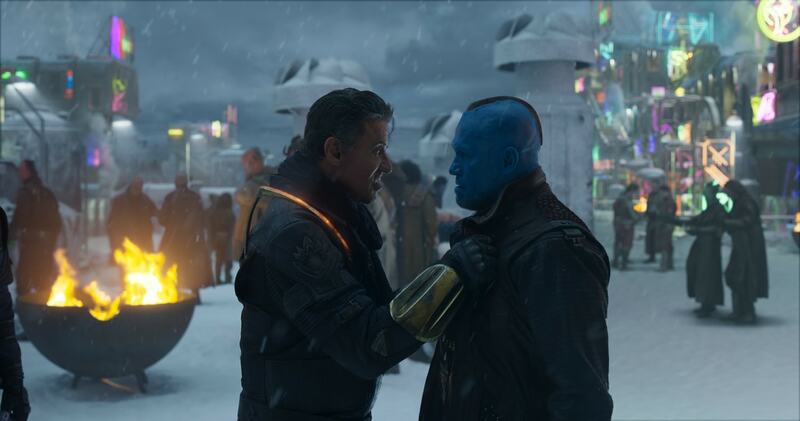 Michael plays Yondu and has a very significant role in this film and we get a lot more answers about Peter and Yondu’s past. Sitting down with these two actors was a fun experience. They fed off each other and got real about makeup, the cast, and what they do or do not know about the sequel. Tell us About the Makeup! Makeup is a huge part of this film. 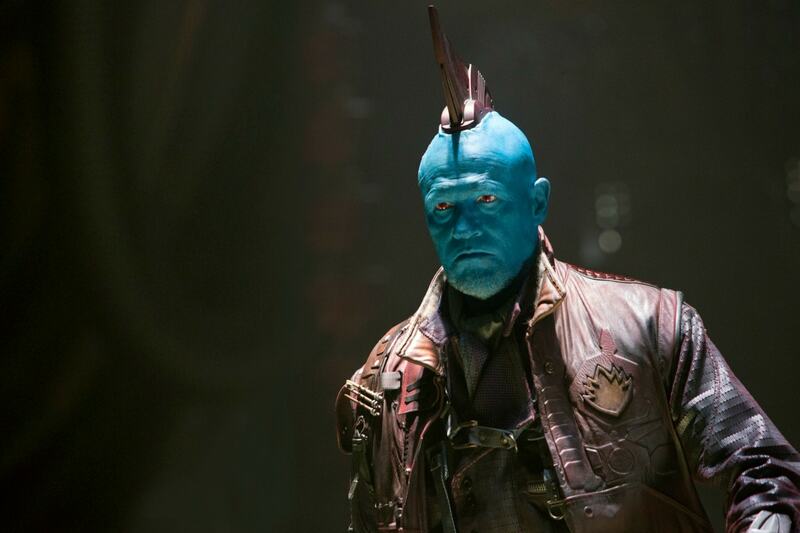 Yondu has quite a lot of makeup needed to get his face just the right hue of blue. We asked Michael about how long it took him to get his makeup done. Michael: The makeup process is awesome. We have a makeup artist in this room that was part of the makeup. Awesome makeup process. It took about, maybe a three-hour process to put on and four or five, six layers of different shades of blue and gold and silver and yellow, flax and all kinds of stuff. I’m like, what color is this? It’s gold, sometimes they just flick it on with a brush. They put it on the brush and they just go and they just flick it and it’s like little, little spackling all over your face, but tiny little dots that helps to bring out the depth of the, of the paint so it looks like real skin, it feels like real skin, too. The teeth were the most difficult to work with for Sean in the movie. He even wanted them ahead of time to practice with. Michael: We both had some grills, baby. Do we not? You had more of a problem with it than I did. Sean: Yeah, the teeth can be tricky. I tried to get the teeth made a good several months before we started so that I could just put them in and work with the talking. I think talking through the teeth was, like in the first movie, it was one of the most difficult things. Michael: It was. But I didn’t have a problem with it because everybody’s different. Sean can speak English. I cannot. Sean’s consonants are, he uses consonants. I do not and my quality is more throatal and glottal. I mean, he can do that, of course. We are trained actors. The teeth are up in the front, so I form my words and my consonants and sounds more back, so it didn’t’ bother me at all with the speaking. What it did do, was it’s very difficult for the whistle. A whistle’s all in the front right where the stupid teeth are. Any Inside Scoop on Guardians 3? 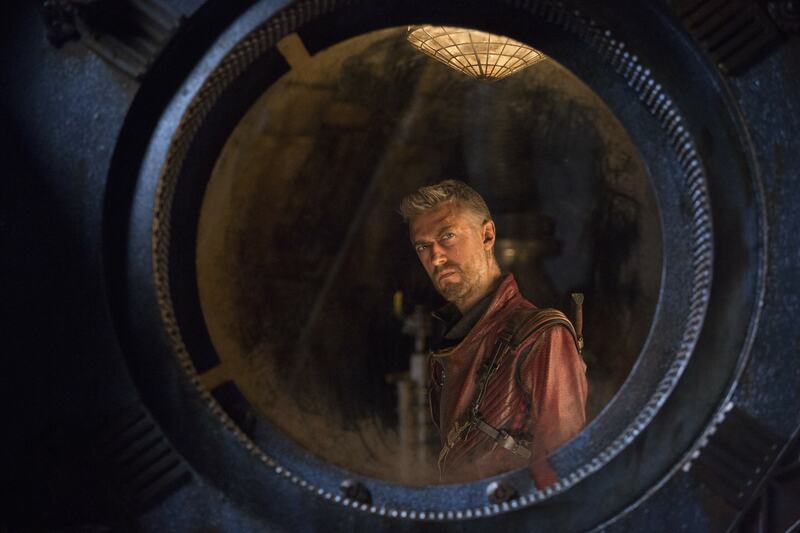 Kraglin is shown using the fin at the end of Guardians Vol.2. We asked Sean if that was something we would learn more about in the next film. Sean: I don’t know anything other than where I’m supposed to stand and what I’m supposed to say. Michael: Good answer, dude. You’re good at this sh*t.
Sean: I mean, honestly, I’d like to think there’s more in store for that character, but I don’t know anything. Every cast has a chemistry to it. We asked about who they like working with on the set the most. I wasn’t prepared for Michael’s answer. Michael: I would say, I don’t like working with real humans. Never have. I’m going to go with Rocket and Baby Groot are my favorite. But that being said, Rocket is my friend right here and we worked together day and night doing this. He does all the, all the vocals and all the voice stuff for Rocket. It takes like, four or five good ones to layer all that, all that stuff and you can, you can probably talk a little bit more about that layering stuff. Sean: We have to do several takes for anything that Rocket is a part of. We do a reference take. We’re in there and we make sure we get one or two good ones of those and then we have to do one with a light.When I’m doing the lines from just behind the camera. Michael: That’s right. Got to do one with a stick. With a piece of tape. Sean: Got to do one that’s totally empty. All that kind of stuff so it’s all, it’s a whole process. Can you imagine working with your brother on films? Sean is the brother of the director James Gunn. They have done a few movies together. We asked about what is like working with a family member. Sean: We’ve been working together in various capacities since we were little, so it’s like, it’s, it’s, I have an easier time working with him than just about anybody because we have such a shorthand for communicating with one another and I know for the most part, what he’s looking for. I can, I can, you know, when I read scenes, I have a pretty good feel for what he’s going for. And so I think that we, we work together really, really well. I’m certainly grateful that he gave me such a nice role in this film. I was glad he let me play a humanoid. Every other movie I wear a lot of makeup or I die. Michael: He’s into, he’s into killing the people he loves the most. Guardians of the Galaxy Vol.2 is in theaters now! Be sure to see it this weekend! For up to date information about the newest Marvel blockbuster be sure to follow the Guardians of the Galaxy Vol. 2 on their social channels and use the hashtag #GotGVol2. A huge thank you to Disney and ABC Studios for flying me out to LA for the #GotGVol2Event. All opinions are 100% mine.